People never forget a delicious meal or a thoughtful gift. We’re here to make gift giving easy. 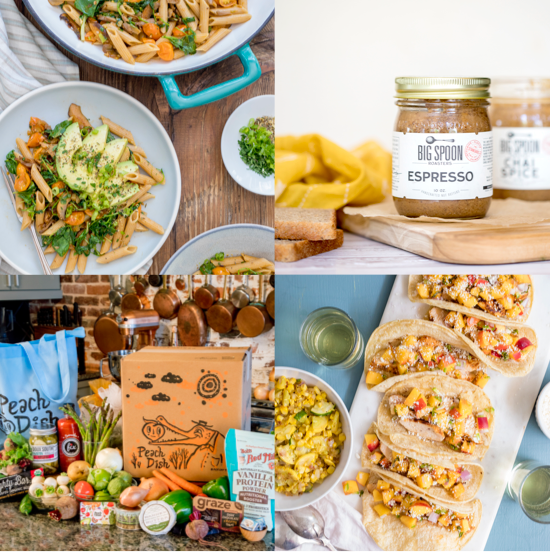 PeachDish sends meal kits with fresh, portioned ingredients to doors nationwide so home cooks can create chef-designed, nutritionist-approved meals at home. PeachDish meal kits come with the very best: fresh produce from our network of local farmers, sustainably raised meats, and artisan staples. We strive to offer dishes that are full of flavor, use locally-grown seasonal ingredients, meet the needs of diverse eaters, and are a delight to cook. Plus, PeachDish offers your gift recipient a full selection of carefully curated groceries from our Market! So give the gift of good food and let's break bread together.